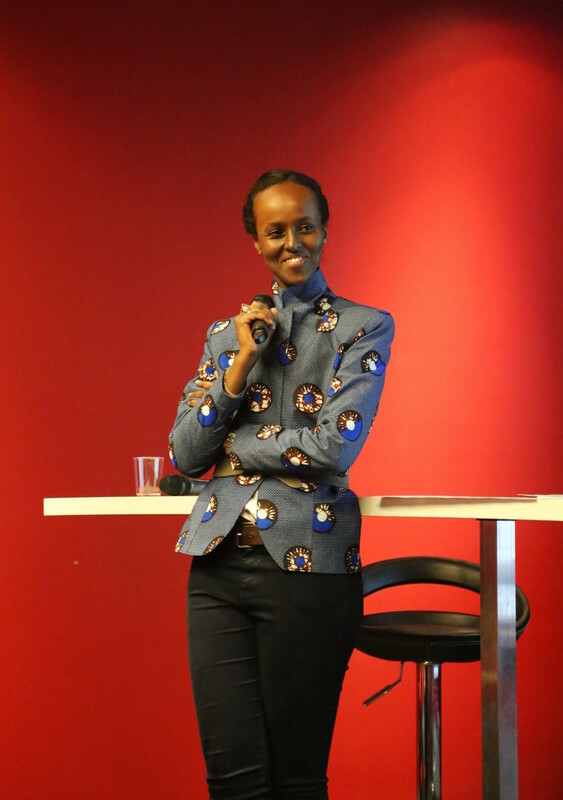 Haweya Mohamed is the co-founder of Afrobytes, a digital hub focused on African innovation, who are holding a conference in Paris from June 9 – 12. She explains why the diaspora is so important for technological innovation and why women should be at the forefront of innovation. I was born and raised in Fontainebleau, France. I used to work in very big and attractive companies but I always had in mind the idea to do something with Africa. My last corporate job was in Casablanca. This is where I realised the attractiveness of Africa. Casablanca is a hub and a door into the continent and I met so many people wanting to deal with Africa. I told myself that this was the moment. Meanwhile a friend of mine introduced me to Ammin Youssouf – whose parents are from the Comoro Islands – who was running an agency called Big Youth at the time. We got on well very quickly and shared the same ideas and vision about what we wanted to do. Afrobytes is more than a private entity; it is more like a mission. As a global citizen, I use what I am to make things happen. How and why did you found Afrobytes? It started with a conversation about what value we could co-create with the different innovative stakeholders of our continent of origin. It quickly went onto digital and we noticed how fast the number of hubs were flourishing on the continent. There was one missing, in Europe and especially in Paris where you can find a lot of people from the African diaspora. Our hub is close to the private equity and press offices. We thought that we could be more helpful from here to initiate interactions between European tech and African tech. We want to create opportunities on both sides. Why is it so important to promote African tech in the diaspora? Promoting African tech itself is very important. What is going on is just very inspiring. People start looking at it, want to know more and of course want reassurance, so there is a lot of work to do to allay fears and open new horizons and opportunities. The African diaspora transfer more than USD$60 billion every year, but their needs are only viewed through this prism… As we are part of the diaspora, we have a pretty good idea of what’s needed and we will work to address them with the best applications. Beyond that, our activity will also need people from the diaspora who could be the go-between EU startups going to Africa and African startups thinking internationally. How can people who aren’t in Paris get involved? They can register to our website and get in touch with us. People don’t have to be in Paris to interact with us. We use all the technological means to discuss with our partners and we try to travel as much as we can in Africa. Which African startups are you most excited by at the moment? There are so many creative young people with brilliant ideas. We are very excited by all the startups showing that our future is written in Africa and which have a real impact on people’s lives… and again the continent is full of them. M-Kopa has just launched a TV without electricity, Bitland in Ghana allows people to survey land and record titles, Shule Direct in Tanzania deals with education or Jumia, the first unicorn. What are your thoughts on the growing trend of getting African women into tech? It is not a trend, it is a reality. They are at the core of the economy and participate actively in the GDP of the whole continent. They are whom people should invest in; they offer the best return on investment. ‘We promote and support all initiatives that will allow a woman to be the next Mark Zuckerberg. We have to give them the possibility to code and to elaborate their own applications because they know more than anyone what is useful for the community. We promote and support all initiatives that will allow a woman to be the next Mark Zuckerberg.